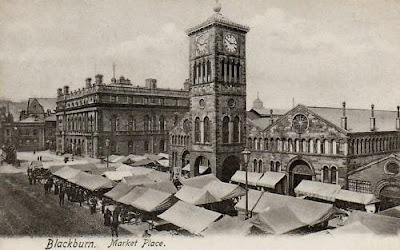 Along with the night time view (elsewhere on the blog), this is one of my favourite shots of the clocktower, markets and Town Hall. You can even see the dome of St John's Church in the distance, behind the clock. The postcard was posted in 1904, so the image pre-dates that year.